Hello everyone, and welcome to another Swimming Equipment section. Today we'll be going over all of the aspects of Swimming Paddles. This piece of equipment is extremely useful and helps with many technical aspects of the stroke. We'll be reviewing these aspects, as well as the price range for this item. To start off, swimming paddles are placed on the hands the way that is illustrated below. Keep in mind that there are many different variations of paddles, therefore you will need to find the type that is most comfortable for you. 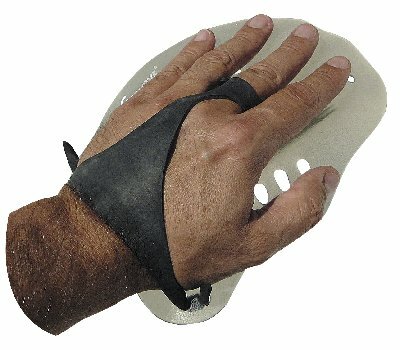 Generally, swimming paddles increase the surface area of your hands. Swimming paddles are very useful for many reasons. Firstly, as stated above, they increase the surface area of your hands. You can think of them as flippers for your hands. By increasing surface area, you will gain speed with every pull. Therefore, your body can get used to this speed and adapt to it so that you can swim faster without them on. Secondly, by increasing the surface area of your hands, the paddles allow you to get a really good feel for the water. This also means that when using them, you will really feel any errors in your stroke and be able to correct them. If you have a pair of paddles that are similar to those in the first image, you can remove the bottom strap. This way, if there are any errors in your stroke, the paddle will come off completely or it will cause a lot of resistance. One of the greatest features of swimming paddles is that they can be used for any stroke: Butterfly, Backstroke, Breastroke, or Freestyle. They can also be used for sculling, treading water, and many other techniques. 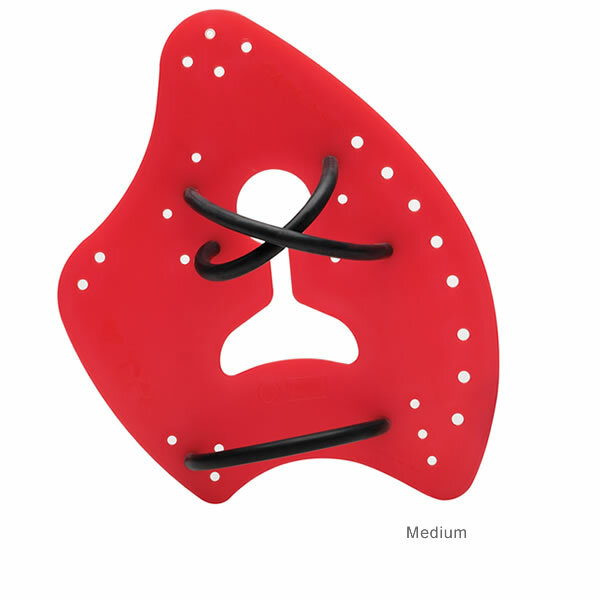 Paddles are also relatively inexpensive, usually selling for anywhere from $5-20. Swimming paddles are well worth the price that you pay for them. Thanks for reading! Be sure to stay tuned for more lessons, equipment section, and athlete bios. Remember, if you have any questions, post a comment and I will respond!